Here we are; December 1st! Thanksgiving is over, now we can officially decorate for Christmas! I always wait until December first before I listen to christmas music, decorate, or do anything christmas-y. I know that most other people don't wait, but I like to enjoy each holiday, not rush them! Each to their own. Although, I am ahead of the game on ordering christmas cards this year. 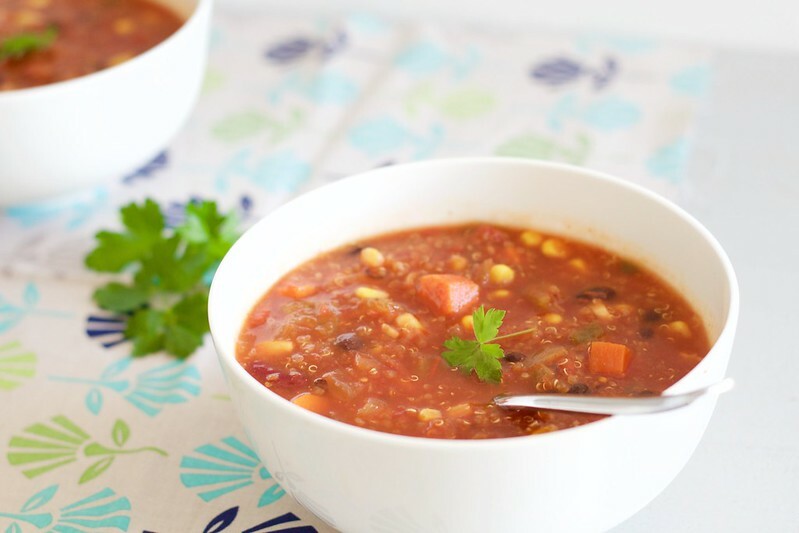 Since most of you are probably recovering from a food-induced coma, and since the days are only getting colder, I though it was high time I shared a chili recipe. Soups are my favorite in the colder months. Nothing like a hearty, hot soup to take the chill off. I am always freezing, no matter how many layers I put on and how close I am sitting to the wood stove. So, I tend to turn to soup for comfort. 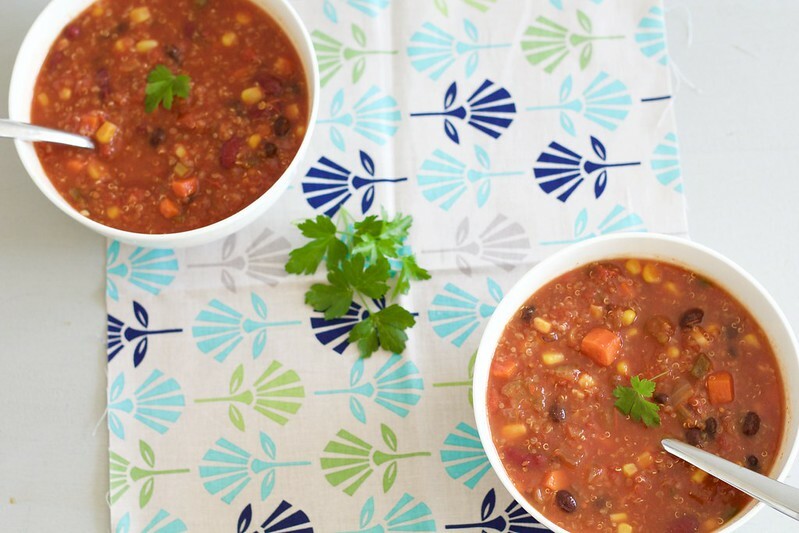 This vegetarian chili instantly became my new favorite. It's healthy, hearty and just dang delicious. I love to have meat alternatives because sometimes, I just like meatless things! My husband would thoroughly disagree with me, but I am the one that is cooking! heh heh. Place 3/4 cup quinoa in a saucepan with 1 1/2 cups water. Bring to a boil, then reduce the heat to low. Cover the pot, and simmer for about 15 to 17 minutes, until the water has been completely absorbed. Turn of the heat and let sit covered to steam for about 5 minutes. Meanwhile, in a large pot or Dutch oven, heat 2 tablespoons olive oil, the sauté the onion for 5 minutes. Stir in garlic, carrot, celery, and green pepper, and sauté for another 5 minutes. Stir in 3 tablespoons soy sauce and cook 30 seconds more.